FOR IMMEDIATE RELEASE: Lewiston, Maine (June 14, 2017) – Derek Daley believes that his mixed martial arts training gives him an edge in his career. He also recognizes that training with First Class MMA makes him a better mixed martial artist. It’s a busy life for Daley, a law enforcement officer and father of a 6-year-old daughter, Ella. He will break away for a few frenzied moments on the night of Saturday, June 17, when he returns to the New England Fights hexagon for the first time in a year. Daley, 27, is one of seven fighters who will represent his Brunswick gym at “NEF 29: Stars & Stripes.” The opening bell is set for 7 p.m. at Androscoggin Bank Colisee in Lewiston. There was barely time to break a sweat. Daley, a two-time Maine high school wrestling champion at Dirigo High School in Dixfield who later played college football at Husson University, dispatched Johel Stephenson in only 55 seconds. This time, Daley (1-0) takes on the more seasoned Frank Johanson (2-2) of Lewiston’s Central Maine Brazilian Jiu-Jitsu in a featherweight amateur scrap. Daley joins Ras Hylton, Dominic Jones, Rafael Velado, Josh Jones, Jake Deppmeyer and Jon Tefft in the First Class contingent on the docket. He was lured to the training center and the MMA phenomenon by another local police officer with fighting in his blood, Nick Gulliver of Jay. Raio’s experience on the high school and college wrestling mat has made him a natural mentor for Daley, who hit the 100-win plateau early in his junior year at Dirigo. Daley won the 119-pound state title as a sophomore and backed it up as a senior at 135 pounds, not far from where he fights today at 145. It’s admittedly difficult for Daley to balance his competitive passion with his blossoming police career. He began as an officer in Wilton. After moving to Richmond, he applied for work in three surrounding cities. Augusta was first to make him an offer. Police work is a family tradition. Daley’s father, Hart, is Chief Deputy of the Oxford County Sheriff’s Department. It was not a case of a father wanting his son to fill his shoes. Raio, now retired from the cage after a run as one of NEF’s most popular fighters in its infancy, understands the home vs. work vs. family balance. He is the father of two and was employed full time with the U.S. Postal Service when he got the itch to try combat sports once again. Still, he is high on his pupil’s potential if Daley ever decides to focus fully on the cage. Daley returns the compliments, insisting that even if his foray into MMA winds up being a cup of coffee, he will continue to train at First Class for fitness purposes. He describes the atmosphere as a tight circle of friends and a brotherhood. That goes double for his friendship with Gulliver, who is undefeated as an amateur heavyweight. It certainly reduces the stress when he gets the opportunity to pick on someone his own size at an NEF card, although Daley knows better than to take the veteran Johanson lightly. The CMBJJ fighter enters on a two-fight winning streak, and he defeated First Class’ Deppmeyer in February. Even though he fought in front of thousands at the state wrestling showcase four times as a high school student, Daley is humble enough to acknowledge that an NEF show is a different animal. “I was a complete nervous wreck, like almost to the point where I was ready to puke behind the curtain,” he said of his debut. “Then once I stepped in the cage, it went away and I just did what I had to do. I was able to shake off the rust a little bit. The June 17 card features four professional MMA fights, four pro boxing matches, and seven amateur skirmishes in the cage. Tickets to “NEF 29: Stars & Stripes” start at $25 and are available by calling (207) 783-2009 ext. 525 or at www.thecolisee.com. 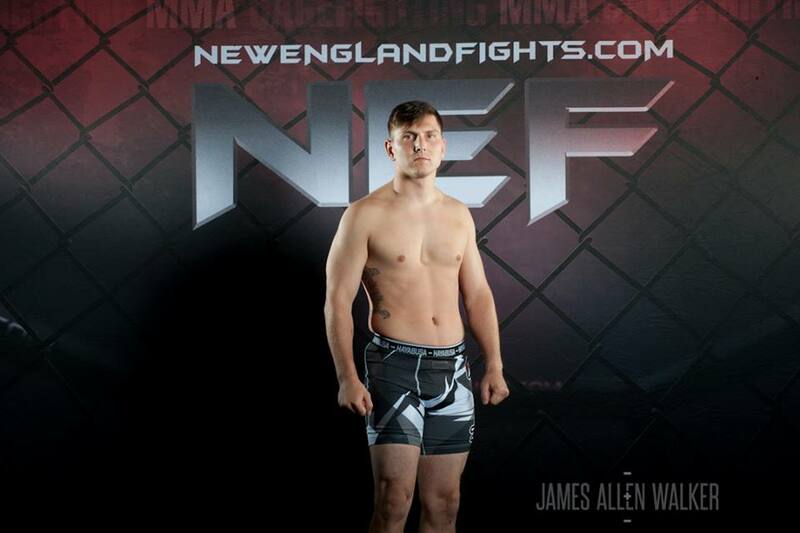 For more information on the fight card, please visit www.newenglandfights.com.